Tarot has been in existence for thousands of years, and they were used in many ways as a tool for predicting the future, as a game, a way to discover the unseen, or to get information about different situations. The tarot reading is like a wake up call to tune in to sensitivity, intuition, compassion, receptivity, courage and individuality. But most of all the Tarot’s job is to open our minds to different truths, making us more aware to what we are sometimes unable or unwilling to see. To look at the situations in our life in a different way, it helps us get new perspective of things that are happening to us in our daily life. In the tarot reading u can observe your life from a higher perspective that helps you to fully experience and understand your goals and true purposes..lets u see all the colors of your inner rainbow. 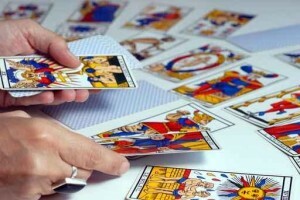 1 session of tarot reading cost: 20 euros. Rittu has an incredible intuition, and gave such amazing guidance through Tarot when it was really needed. Thankyou Rittu, and thank God for giving Rittu this gift.